Dr. Jay and Ian Andre Espinet are teaming up for an epic event. 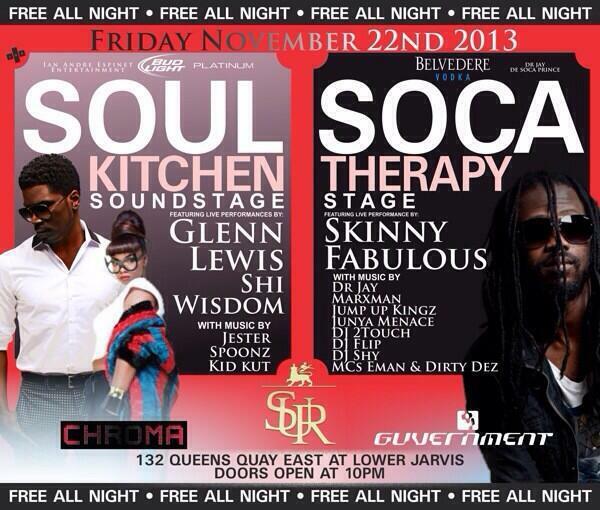 Skinny Fabulous will be lighting up the Soca Therapy Stage alongside the KOS and JUK families while Glen Lewis, and Toronto's own Shi Wisdom will be on the Soul Kitchen Stage. I love my Neo Soul, but you know where to find DysChick. Leh we go!